I love making people smile. My photographs have a strong element of energy and fun to them. This year, my New Year’s resolution was not to loose weight but to return to direct mail. I remember walking into Art Producer’s offices and seeing postcards and posters plastering the walls and overflowing from the cabinets onto the floors. Today, I see a lot of empty space on those walls. Why should I not help fill those walls with some fun and beauty? I wanted to create a direct mail promotion that would enhance my photographic brand of images that are full of fun, energy and life. I also wanted to create a mailer that would share my potential client’s office space for a while and maybe bring a smile into their busy days. 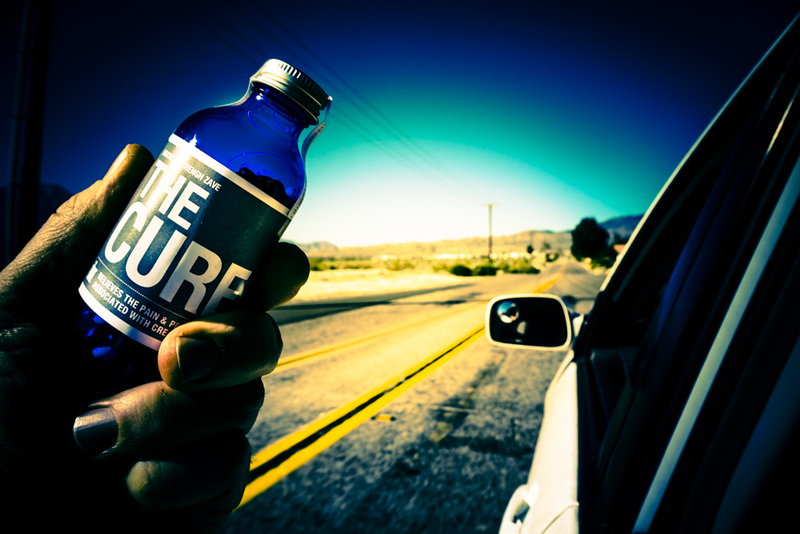 “The Cure” is a beautiful 8oz blue glass bottle with a silver cap that contains miniature M&Ms. 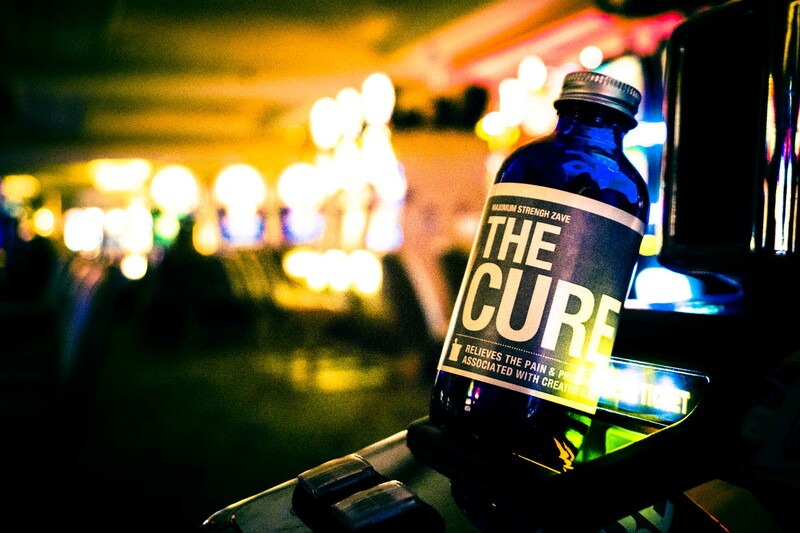 These bottles are wrapped in a silver label that reads, “The Cure: To cure creative block take two and call, Zave”. This bottle sits on top of a tri-fold brochure of my images. 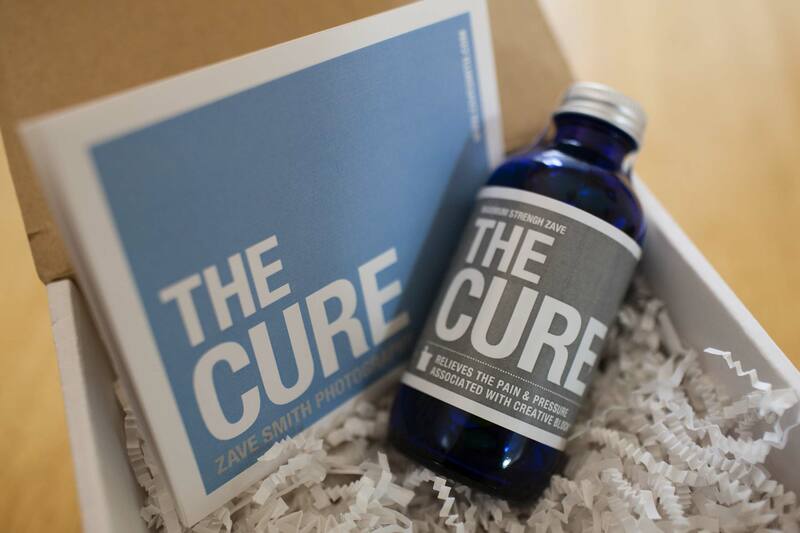 The bottle and brochure are then nested in white crinkle paper and packaged in an attractive box with “The Cure” stamped on it. 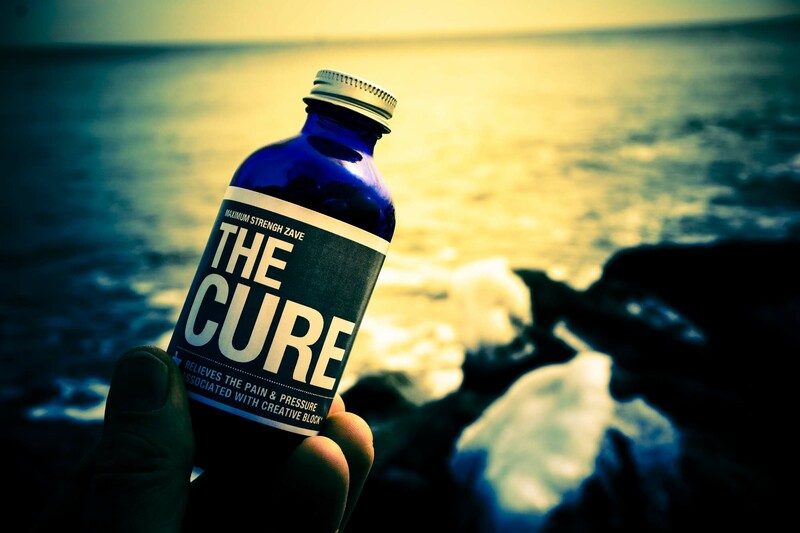 I also created a social media component by taking photographs of the “Cure” bottle in various environs like Joshua Tree National Park and in the casinos of Atlantic City. I then posted one of these photos each week during our mailing cycle on social media. I mailed 40 boxes each week over five weeks. 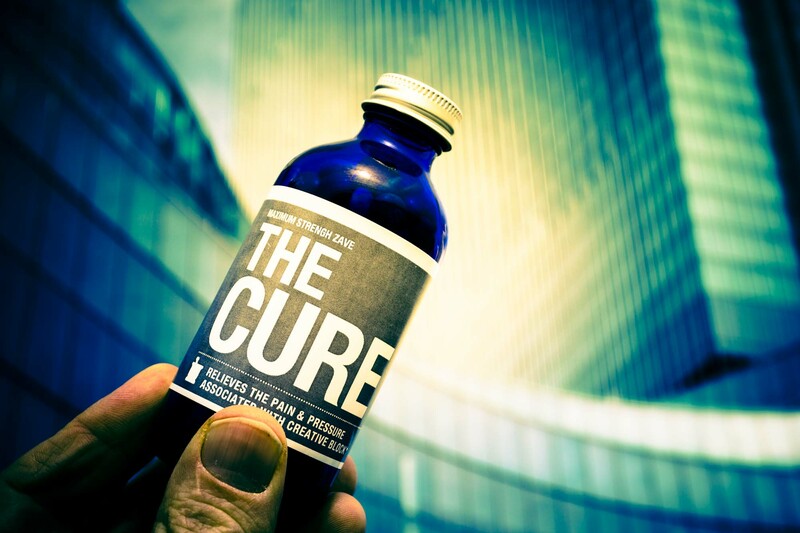 Each week’s recipients received an email stating that, “several lucky people will find “The Cure” in their mailbox this week. Might one of them be you”? It is hard to know the impact of a promotion this soon. We have received many “Thank You” emails and suddenly people are answering the phone when we call. We artists get hired for our vision. Vision alone in today’s crowded market will not grow business if potential clients are not aware of one’s work or struggle to remember who created that wonderful photo they recently saw. 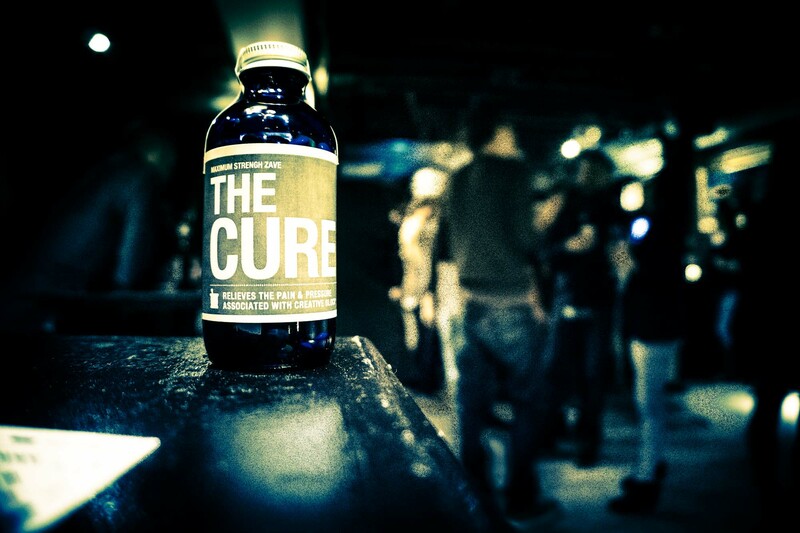 We hope that our “Cure” helps Art Producers remember our name and our images. 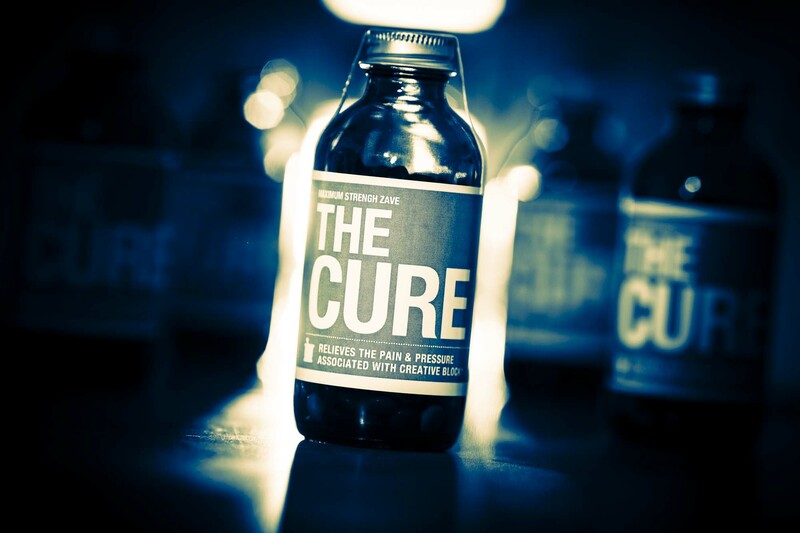 We hope our “Cure” will bring a smile to our brand. To see more of Zave Smith’s work go to his website and Altpick.com page. This entry was posted in Branding, Design, Photography and tagged caption, Zave Smith. Bookmark the permalink. Great promotion! Love it. Both your concepts and thought and the images, realization.